Dr Lawrence M Friedman famously noted that once public office in England ‘was essentially a nice warm udder to be milked’.1 It has been the same in Russia for a long time – apart from the Stalin period of contemporary history. Many public officials only take up and use their positions for illicit enrichment and misconduct in public administration, and this is the norm. Moreover, people are used to exploiting their relationships with public officials to obtain economic advantage in return for illicit intermediation, as well as being accustomed to paying grease payments. What are the state authorities doing to change the situation? And is it making a difference? It is true to say that the relatively recent passing of, and amends to, anti-corruption laws and regulations, as well as the country becoming a signatory to the OECD Convention on Combating Bribery of Foreign Public Officials in International Business Transactions, mark a milestone in Russian anti-corruption initiatives. Changes in the legislation may correlate to some extent with an increasing number of criminal investigations into corruptive public officials, and this re-evaluation of corruption should have served to grow the government trust. Yet the climate hasn't changed dramatically. For example, in some corruption cases that have involved interests of the Russian clans, law enforcement authorities and courts have lacked a principled approach to strict liability of corrupt top officials. 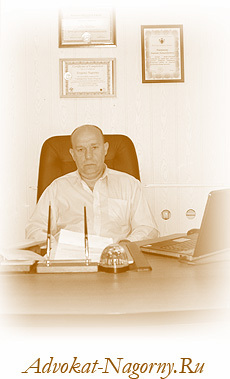 This has certainly been evident in the scandalous criminal case involving embezzlement of large sums by high-ranking officials within the military corporation, Oboronservis, the board of which was chaired by former Defence Minister Anatoliy Serdyukov.2 Such failings have encouraged further tolerance to corruption in society, underlining deep-seated social and cultural patterns. The most recent developments in Russian anti-corruption measures focus on the declaration of income and personal assets by public officials to expose formally how they deal in private, something they had hitherto been tight-lipped about. Taking into account the mass embezzling of public assets in the 1990s and systematic corruption as a means to illicit enrichment in contemporary Russia, it seems that declaring income is only a halfmeasure towards combating corruption, as most public officials cannot reasonably explain how they came to own their yachts on the Riviera, real estate in the Alps of Austria or Switzerland and villas in Nice, Miami or some other location. It is worth noting that Russia did not ratify Article 20 of the United Nations Convention Against Corruption, which deals with the criminalisation of illicit enrichment. At the same time, the United States has with the Magnitsky Act 2012,3 imposed sanctions in the form of visa bans and asset freezes on Russian officials believed to have been involved in gross violations of human rights while victims of corrupt practices, whether or not they suffer from violations of human rights as well. If Russia refuses to ratify Article 20 of the UN Convention, why shouldn't there be the possibility of passing similar acts in the US, France or Switzerland that concern Russian public officials or former public officials who cannot explain reasonably the means by which they acquired property or other assets that come to light? Nevertheless, in implementing strong remedies against widespread corruption, authorities have to realise that anti-corruption pressure must be proportionate to the depth of corruption, and it cannot fail or they will finally lose all trust. What is more, moving a public official’s illicit enrichment from one country to another will have the same erosive effects for both countries. Statistics don’t fully reveal the impact of corruption on democracy and rule of law since it is exceedingly hard to measure, and the criteria of ‘widespread corruption’ or ‘systemic corruption’ touches only the surface of the phenomena. Where does corruption bare its teeth most fully in Russia? Moscow and St Petersburg, with their political and powerful establishments in question, are not all of Russia, so the huge corruption scandals that have taken place in the capital cities, alas, don’t reflect the anti-corruption efforts in many Russian municipal towns and places. The discrepancy between anticorruption rhetoric and the sad reality on the ground is most evident in local municipal enforcement practices, with deep-seated corruption and a low-legal culture where official law and living law are not the same. The dominance of clan cronyism, corruption and nepotism is at the core of the municipal system of government. To a large extent, the root of the problem lies in the perpetuity of the municipal power of mayors, who cannot in fact be removed by transparent and democratic voting; in the indifference of local communities to rule of law principles; in the habit of many Russian people to solve actual, legal disputes informally with gift-giving and paying small grease payments to municipal officials; and in the mistrust in authorities. Due to this, the miasma of corruption is widespread in local enforcement agencies and in the local judiciary as well. The recent implementation of reforms to the police force hasn’t had the desired effect, and the professional skills and legal culture of local police investigation officers remain poor. Officers of the district prosecutor’s office are passive and untrained to combat corruption; they just are not geared towards or prepared for the task of overseeing municipal administrations. The actual power of lower courts links to municipal powers. For local judges, the practice of getting judicial opinions from a judge of higher regional (oblast) courts beforehand to hold a judicial decision or to get verbal direction on the decision from the chair of the local bench, prevails over the rule of law. If the judge hasn’t taken into account that opinion or hasn’t performed the direction, they run the risk that the case will be overturned on appeal and, what’s more, their judicial career could be ruined (‘потерпеть крушение’) or even ended. Thus the lower judge’s hands are tied. In a real-life scenario, any enforcement measures concerning the town’s mayor or any chief of the municipal administration department have been heavily influenced by the mayor himself since, as a rule, the mayor and his interest groups are supported by the chief of the local police, district public procurator and chair of the bench who have taken advantage of their positions in this case. Although the actual facts are often harder to unearth, people of municipal communities are somewhat biased towards the mayors, lower courts and local public procurators. How the local enforcement authorities actually observe the rule of law has not been of interest to the reviewing authorities; they only want to have positive records and statistics and, because of this, anti-corruption pressure has only affected junior public servants of municipalities and not corrupted mayors who are members of the ruling party or the officials of the municipal administrations. For this reason, the local investigative authorities can do as they wish, and the exceptions have been few and revealing. Up to that point the mayor, having close relationships with the district prosecutor’s office and/or the local bench, has won most of the cases in which citizens or business people have accused the municipal administration of illicit actions or inactions, especially in the lower courts. There are many illegalities in lower decisions that are impossible to dismiss, a lot of mistakes and injustices in those cases have been never reviewed by higher courts. In the usual sense it’s hard to say that a business climate for small and medium businesses is attractive in the local municipalities because most business people haven’t been satisfied by the state of local affairs and, more importantly, they can’t change those realities. Obviously, this system of farming out the control upon observing the rule of law in the municipal communities to the local enforcement agencies has tended to drive one down to the bottom of the corruption mire. Legal practice has required more full and solid control and less bureaucracy from higher enforcement agencies. The weaknesses of the local investigative authorities and judiciary can be illustrated by the case of Checkalkina. Mrs Olga Checkalkina is the owner of a small company that is registered and located in the municipal town. In 2008, Checkalkina and the owner of the subcontractor company who made the contract, according to Checkalkina, invested 1,400,000 RUB in the construction of a building. In return for the investment, the subcontractor must have given her one of the premises on the building’s first floor as the executory consideration, the owner of the general contractor company knew about Checkalkina’s investments and didn’t have any objections. At the same time, the owner of the general contractor company had been in close contact with the town’s mayor and because of this the company had acquired permission for the construction in a very favourable location. However, Checkalkina later found that the subcontractor had breached the terms of the contract, and didn’t render either the premises to her nor refund her money. The premises were given to another business, and she realised that she had been cheated and her money stolen. Article 159 of the Criminal Code of the Russian Federation defines fraud by cheating as a crime, so Checkalkina made a criminal complaint in order to institute prosecution for the crime of cheating. In fact, a criminal charge on the merits must have been her last resort to get her money back. According to articles 144, 145 of the Criminal Procedure Code, the investigative authorities have the right to carry out a preliminary examination of the criminal complaint to determine whether there is sufficient evidence of the crime to be committed but the term of the preliminary examination mustn’t be more than one month. The local police department, on combating economic crimes and corruption, carried out the preliminary examination of Checkalkina’s complaint from October 2009 until June 2012, and insisted that there was not sufficient evidence of a crime having taken place. But Checkalkina appealed to the regional public prosecutor’s office, Prosecutor General, and even President of the Russian Federation, that the decisions of the local police department and the local district prosecutor had been abolished more than 15 times and the preliminary examination was reopened again at the local police department and they again found there was no sufficient evidence of the crime contrary to the merits of the case. In 2010, the local judge considering Checkalkina’s claim held the inaction on the part of the local police officers who had carried out the preliminary examination was unlawful, and though the judgment was enforced, no-one incurred any liability. The preliminary examination was completed on 1 June 2012, and the local public prosecutor finally ruled that there was no crime, just a breach of contract, making the matter more a private dispute than one involving public law and meaning there were not sufficient grounds to start a criminal investigation. The local court held the local police department on combating economic crimes and corruption carried out the preliminary examination according to the law, there were no violations of the Criminal Procedure Code rules and the decision came into force. It appears the local police officers and the district prosecutor had been at pains to blur the boundary between the domains of civil and criminal law in order to avoid carrying out a criminal investigation that could have led to the mayor and his interest group. The federal and regional prosecutors had nothing to do with Checkalkina’s complaints and appeals; they just were re-sending them to the local district prosecutor. There was judicial oversight and egregiousness due to criminal process violations by the local police officers. This case has had parallels in many other municipal towns and places throughout Russia; many business people face similar problems. Rule of law and anti-corruption have stumbled in Russian living law practice on endemic issues; the new laws haven’t brought about great changes in corruption. The tools employed in clamping down on corruption throughout the country are somewhat archaic and are only good for dealing with corruption in plain view, arbitrary issues. They are merely in place to suggest Russia is taking action, and these indications are alarming. No business should have been done with officials, other persons or companies who have been involved in corrupt practices both in municipal communities and top levels of power. Unless new approaches to doing business are found, the remedy to corruption in Russia will not be found either. Nevertheless, it would be possible to make a more rational system of enforcement and control measures to break with the habit and tradition of feeding by public office. Lawrence M Friedman, A History of American Law (Touchstone Book, Simon & Schuster, 1985) p 122. ‘Russian Investigators Finish Probe Into Ex-Defense Minister’ (RIANOVOSTI, 16 December 2013), available at http://en.ria.ru/crime/20131216/185601318/Russian-Investigators-Finish-Probe-Into-Ex-Defense-Minister.html. The Magnitsky Act, formally known as the Russia and Moldova Jackson-Vanik Repeal and Sergei Magnitsky Rule of Law Accountability Act of 2012, is a bipartisan bill passed by the US Congress in November–December 2012. The bill was signed into law by President Barack Obama on 14 December 2012. To the top of article "Anti-corruption rhetoric against the ageless system of bribery of public officials"
Back to Anti-Corruption Advising and Compliance.